Do you believe the presence of angels in this world? Whether your answer to this question is yes or no, I assure you they exist. They are guiding you and looking out for you from their kingdom. Sometimes, angels appear in physical form to offer help and support. It is common for them work from behind to direct you in the right path. Their aim is to protect you from any harm and use their power to heal your pains. If you don't notice the presence of angels, don't worry. It may take some time to notice their existence. 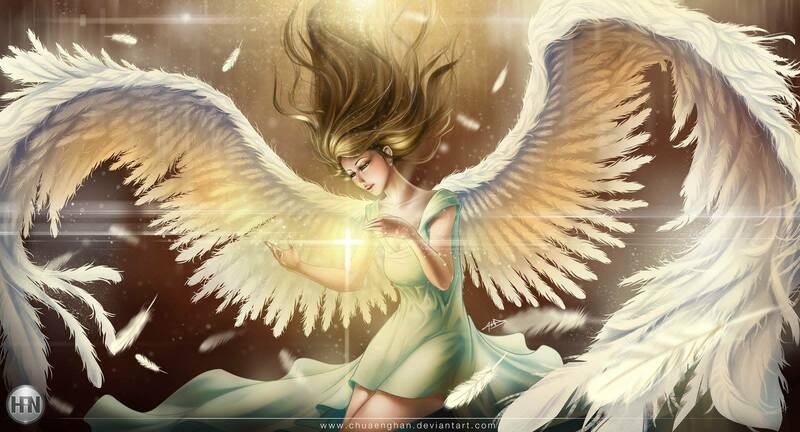 Angels have very light and pure energy. Their vibrations are very high. First, you just need to be open and raise your own energy. Believe, it is quite possible to learn to notice the energy of angels. Everyone receives signs from angels, but many people are too busy to notice. To start noticing the angelic signs, you need to start looking for them. They may appear in different form of symbols. Have you ever notice angel shapes in the sky? Or maybe you found a feather on your path? Through these simple ways, angels want to communicate with you. These are 3 main signs that angels are guiding you. Angels are bright creatures. They may appear in the form of glittering light you see in your dreams. They also may use light orbs, rainbows, as a way to catch your attention. So, when you have questions in your mind and need some guidance, be careful and don't ignore these signs. If you feel peaceful, harmonious and convenience, that means angels protect you with their wings. Have you ever feel anger and then suddenly calm down? Do you ever invite angels into your meditation? Do you feel their warmth? If this happens to you, you are in the presence of angels. Have you ever had an important decision to make and then, apparently, out of nowhere, you know exactly what to do? Or maybe you've asked for help and got inspiration to make better choices. You might just have a sense of knowing that your angels are with you, even if you're not completely sure why or how you know it. Be thankful to angels for their guidance.